Ketterdam: a bustling hub of international trade where anything can be had for the right price - and no one knows that better than criminal prodigy Kaz Brekker. Kaz is offered a chance at a deadly heist that could make him rich beyond his wildest dreams. But he can't pull it off alone. A convict with a thirst for revenge. A sharpshooter who can't walk away from a wager. A runaway with a privileged past. A spy known as the Wraith. A Heartrender using her magic to survive the slums. A thief with a gift for unlikely escapes. Six dangerous outcasts. One impossible heist. Kaz's crew is the only thing that might stand between the world and destruction - if they don't kill each other first. The highly anticipated sequel to the thrilling New York Times best-selling Six of Crows. Kaz Brekker and his crew have just pulled off a heist so daring even they didn't think they'd survive. But instead of divvying up a fat reward, they're right back to fighting for their lives. Double-crossed and badly weakened, the crew is low on resources, allies, and hope. As powerful forces from around the world descend on Ketterdam to root out the secrets of the dangerous drug known as jurda parem, old rivals and new enemies emerge to challenge Kaz's cunning and test the team's fragile loyalties. A war will be waged on the city's dark and twisting streets - a battle for revenge and redemption that will decide the fate of the Grisha world. Mare Barrow's world is divided by blood--those with red and those with silver. Mare and her family are lowly Reds, destined to serve the Silver elite whose supernatural abilities make them nearly gods. Mare steals what she can to help her family survive, but when her best friend is conscripted into the army she gambles everything to win his freedom. A twist of fate leads her to the royal palace, where, in front of the king and all his nobles, she discovers a power of her own--an ability she didn't know she had. Except...her blood is red. To hide this impossibility, the king forces her into the role of a lost Silver princess and betroths her to one of his own sons. As Mare is drawn further into the Silver world, she risks her new position to aid the Scarlet Guard--the leaders of a Red rebellion. Her actions put into motion a deadly and violent dance, pitting prince against prince--and Mare against her own heart. From debut author Victoria Aveyard comes a lush, vivid fantasy series where loyalty and desire can tear you apart and the only certainty is betrayal. Rowan and Citra take opposite stances on the morality of the Scythedom, putting them at odds, in the chilling sequel to the Printz Honor Book Scythe from New York Times best seller Neal Shusterman, author of the Unwind dystology. The Thunderhead cannot interfere in the affairs of the Scythedom. All it can do is observe - it does not like what it sees. A year has passed since Rowan had gone off grid. Since then, he has become an urban legend, a vigilante snuffing out corrupt scythes in a trial by fire. His story is told in whispers across the continent. As Scythe Anastasia, Citra gleans with compassion and openly challenges the ideals of the "new order". But when her life is threatened and her methods questioned, it becomes clear that not everyone is open to the change. Will the Thunderhead intervene? Or will it simply watch as this perfect world begins to unravel? Rowan and Citra take opposite stances on the morality of the Scythedom, putting them at odds, in the chilling sequel to the Printz Honor Book Scythe from New York Times bestseller Neal Shusterman, author of the Unwind dystology.The Thunderhead cannot interfere in the affairs of the Scythedom. All it can do is observe--it does not like what it sees. A year has passed since Rowan had gone off grid. Since then, he has become an urban legend, a vigilante snuffing out corrupt scythes in a trial by fire. His story is told in whispers across the continent. As Scythe Anastasia, Citra gleans with compassion and openly challenges the ideals of the "new order." But when her life is threatened and her methods questioned, it becomes clear that not everyone is open to the change. Will the Thunderhead intervene? Or will it simply watch as this perfect world begins to unravel? 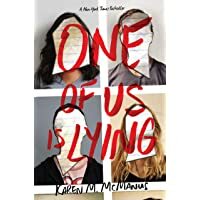 #1 New York Times bestselling seriesThe first book in the #1 New York Times bestselling series that inspired the hit ABC Family TV show Pretty Little Liars.In ultra-trendy Rosewood, Pennsylvania, four beautiful girls are hiding very ugly secrets. High school juniors Spencer, Hanna, Aria, and Emily have grown apart since their best friend Alison DiLaurentis went missing three years ago. But now someone is sending them anonymous notes, threatening to reveal their darkest secrets. There's only one person who knows that much about them, but Ali's gone . . . isn't she?Full of unexpected twists and shocking revelations, this is the first book in New York Times bestselling author Sara Shepard's compelling Pretty Little Liars series. The Grishaverse will be coming to Netflix soon with Shadow and Bone, an original series! 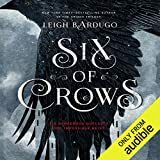 Crooked Kingdom: the highly anticipated sequel to Leigh Bardugo's thrilling #1 New York Times-bestselling Six of Crows.Kaz Brekker and his crew have just pulled off a heist so daring even they didn't think they'd survive. But instead of divvying up a fat reward, they're right back to fighting for their lives. Double-crossed and badly weakened, the crew is low on resources, allies, and hope. As powerful forces from around the world descend on Ketterdam to root out the secrets of the dangerous drug known as jurda parem, old rivals and new enemies emerge to challenge Kaz's cunning and test the team's fragile loyalties. A war will be waged on the city's dark and twisting streets--a battle for revenge and redemption that will decide the fate of the Grisha world. Two twins face a world of Death Row and dystopia in James Patterson's gripping thriller-perfect for fans of The Hunger Games.Seventeen-year-old Becca Greenfield was snatched from her small hometown. She was thrown into a maximum-security prison and put on Death Row with other kids her age. Until her execution, Becca's told to fit in and shut her mouth . . . but Becca's never been very good at either. Her sister Cassie was always the good twin.There were no charges. There was no trial. There will be no escape. Becca's only hope is that her twin sister will find her. That perfect little priss Cassie will stop following the rules and start breaking them, before it's too late. 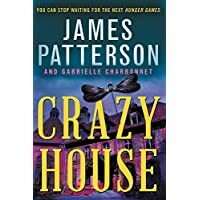 Because her jailers made a mistake that could get them both killed: They took the wrong twin.Crazy House is a non-stop thrill ride from James Patterson, the #1 bestselling author of Maximum Ride, Witch and Wizard, and Confessions of a Murder Suspect. 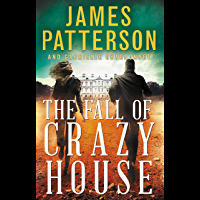 James Patterson's blockbuster Alex Cross series has sold over 100 million copies--and now he's bringing those thrills to a new generation! Alex's son Ali is eager to follow in his father's footsteps as a detective, but when his best friend goes missing, what price will he have to pay to solve the mystery?Ali Cross has always looked up to his father, former detective and FBI agent Alex Cross. While solving some of the nation's most challenging crimes, his father always kept his head and did the right thing. Can Ali have the same strength and resolve?When Ali's best friend Abraham is reported missing, Ali is desperate to find him. At the same time, a string of burglaries targets his neighborhood---and even his own house. With his father on trial for a crime he didn't commit, it's up to Ali to search for clues and find his friend. But being a kid sleuth isn't easy---especially when your father warns you not to get involved!---and Ali soon learns that clues aren't always what they seem. Will his detective work lead to a break in Abraham's case or cause even more trouble for the Cross family? The #1 New York Times bestselling series!Red Queen, by #1 New York Times bestselling author Victoria Aveyard, is a sweeping tale of power, intrigue, and betrayal, perfect for fans of George R.R. Martin's Game of Thrones series. Mare Barrow's world is divided by blood--those with common, Red blood serve the Silver-blooded elite, who are gifted with superhuman abilities. Mare is a Red, scraping by as a thief in a poor, rural village, until a twist of fate throws her in front of the Silver court. Before the king, princes, and all the nobles, she discovers she has an ability of her own.To cover up this impossibility, the king forces her to play the role of a lost Silver princess and betroths her to one of his own sons. As Mare is drawn further into the Silver world, she risks everything and uses her new position to help the Scarlet Guard--a growing Red rebellion--even as her heart tugs her in an impossible direction.One wrong move can lead to her death, but in the dangerous game she plays, the only certainty is betrayal.And don't miss Broken Throne: A Red Queen Collection, featuring three brand-new novellas and other exclusive content, coming in April! Edgar Award for Best Young Adult MysteryMindy McGinnis, the acclaimed author of Not a Drop to Drink and In a Handful of Dust, combines murder, madness, and mystery in a beautifully twisted gothic historical thriller perfect for fans of novels such as Asylum and The Diviners as well as television's True Detective and American Horror Story.Grace Mae is already familiar with madness when family secrets and the bulge in her belly send her to an insane asylum--but it is in the darkness that she finds a new lease on life. 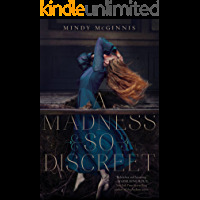 When a visiting doctor interested in criminal psychology recognizes Grace's brilliant mind beneath her rage, he recruits her as his assistant. Continuing to operate under the cloak of madness at crime scenes allows her to gather clues from bystanders who believe her less than human. Now comfortable in an ethical asylum, Grace finds friends--and hope. But gruesome nights bring Grace and the doctor into the circle of a killer who will bring her shaky sanity and the demons in her past dangerously close to the surface. Paper Towns meets Thirteen Reasons Why--at prom. A riveting story told through four best friends' point of view.Last month, Elin tried to kill herself. She knows she's lucky that her parents found her in time. Lucky to be going to prom with her three best friends, like any other teen. Like it never happened. And if she has anything to say about it, no one but her best friends will ever know it did. Jenna, Rosie, and Ket will do anything to keep Elin's secret--and to make sure it never happens again. That's why they're determined to make prom night feel just like it would have if this past spring hadn't been as eventful. This could be the night that convinces Elin that life can go back to what it was. Except, at prom, Elin goes missing. Now it's up to her friends to find her. But each of the girls has her own demons to face. Ket is being blackmailed by an ex. Rosie is falling in love for the first time. And Jenna . . . Jenna is falling apart. And no one, not even her best friends, knows why. 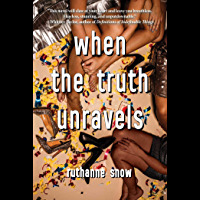 Heart-wrenching and utterly impossible to put down, When the Truth Unravels follows four friends as they confront their greatest hopes and darkest secrets during one life-changing night.